WASHINGTON, DC – U.S. 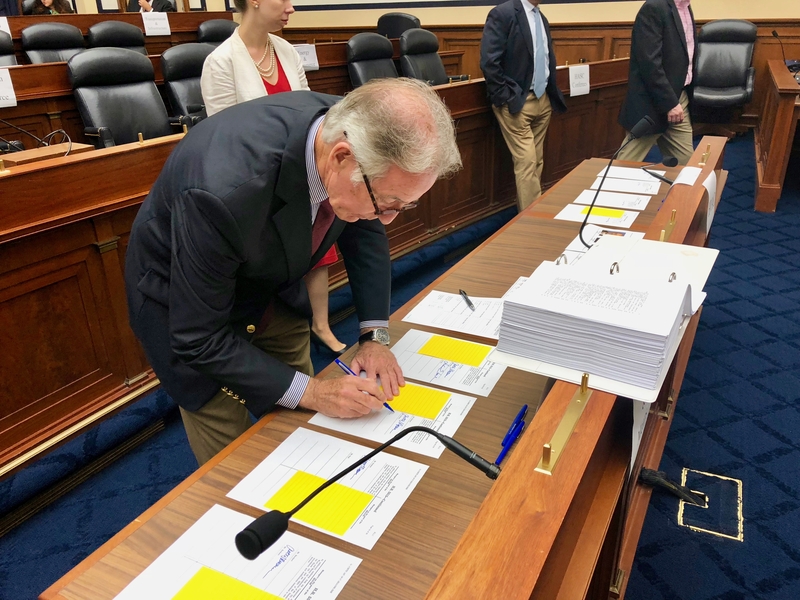 Congressman Richard E. Neal released the following statement following the passage of the 2019 National Defense Authorization Act (NDAA) in the House today. “Today, I voted for the final version of the National Defense Authorization Act (NDAA) for Fiscal Year 2019. As one of the conferees that helped shepherd through this important legislation, I paid a great deal of attention to the interests of the First District of Massachusetts. In western and central Massachusetts, there are two military bases and numerous companies with nearly 11,000 jobs that help drive the economy of the region. Westover Air Reserve Base and Barnes Air National Guard Base alone contribute over $350 million to the local economy. It is vital that these large employers such as Westover and Barnes, as well as General Dynamics, and Warren Pumps have adequate support from the federal government to continue their work supporting the national security interests of the nation. “FY19 NDAA significantly benefits the First District in many tangible ways. Most notably, this legislation authorizes the construction of a $42.6 million Regional ISO Maintenance Hangar at Westover Air Reserve Base. I have advocated for this state-of-the-art facility throughout my tenure in Congress. It will replace the current 70-year-old hangar and better equip Westover to fulfill its mission now and into the future. In addition, NDAA authorizes a 2.6% pay raise for all military personnel, as well as establishes a prescription drug monitoring program to help combat opioid drug abuse inside the military.